In this week's challenge you must Drink A Cup of Tea Every day. No matter what season, tea can be a tasty beverage since it can be served iced or hot. But its benefits go far beyond refreshment. There is plenty of research showing that drinking tea can actually improve your health. Here are some Teas and their benefits to help you with this weeks challenge! Ginger Tea: Helps digest our food and helps control problems like nausea. Also has anti-inflammatory properties. 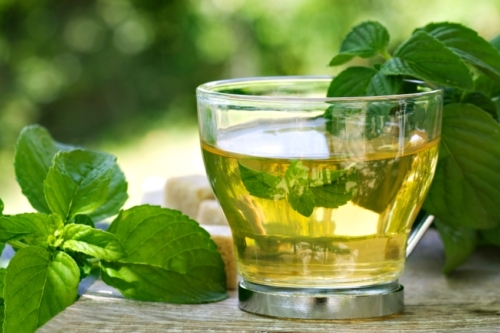 Peppermint Tea: Strengthens our immune system and gives our body protection against mild coughs, mild asthma, and clearing of congestion, mild aches and chronic pain. Lavender Tea: Helps reduce respiratory issues, cough, asthma, bronchitis and body temperature and is used for treating fever. It helps heal ulcers, sores, cuts and wounds. 9 Surprising Health Benefits of Drinking Tea - Learn more here. How A Daily Cup of Tea May Improve Your Health - Learn more here. 13 Reasons Tea Is Good For You - Learn more here.